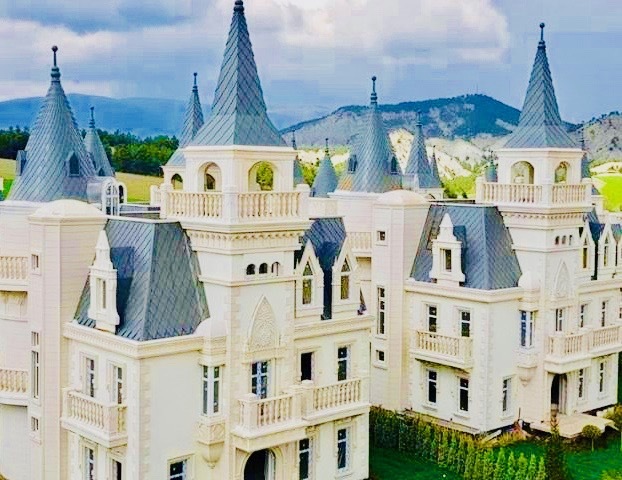 You can find the real thing easily enough, of course - Bran Castle, the hilltop marvel eternally associated with the Dracula legend, in central Romania; Hohenzollern Castle in Baden-Württemberg, in southern Germany; the Alcázar of Segovia, in central Spain. 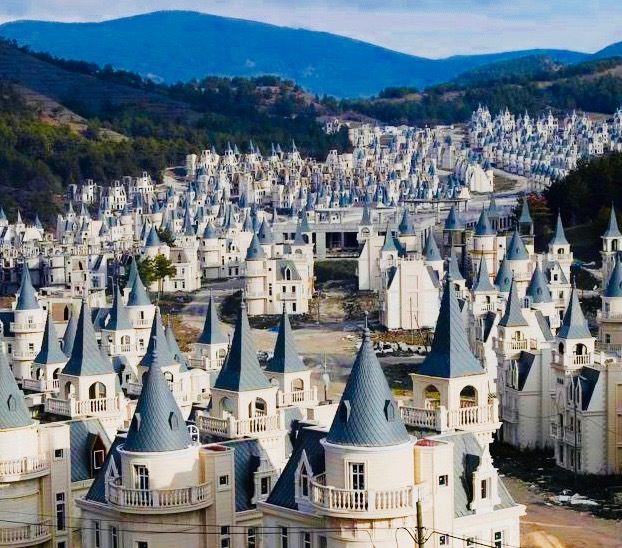 The blueprint even extends to Mudurnu in north-western Turkey - although the strange cluster of Gothic "castles" found on the outskirts of this unheralded town, 180 miles south-east of Istanbul, has far more in common with Walt Disney's whimsical vision than the masterpieces of European construction of the 13th, 14th and 15th centuries. 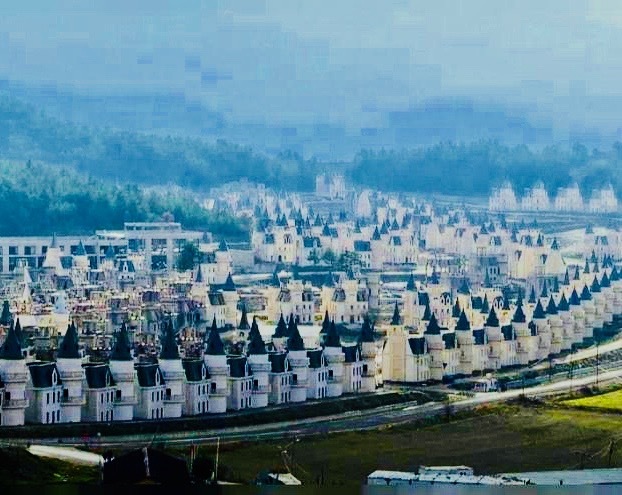 Indeed, you might question whether Burj Al Babas - as this unlikely project is known - will last into the next decade, let alone survive for half a millennium. 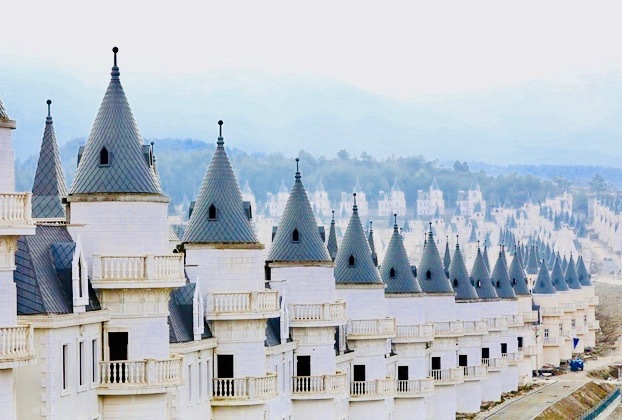 It involves more than 700 Gothic-style villas, each resembling an identikit miniature castle, laid out immediately to the south-west of Mudurnu - having been conceived in 2014 as a luxury community for foreign buyers looking to invest in the Turkish property market. 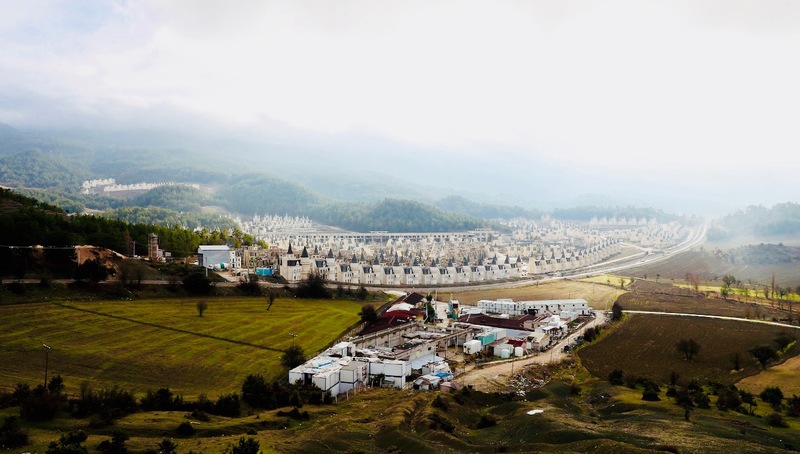 However, Sarot Group, the developer behind the site, has run into cash-flow problems as the Turkish economy has experienced a downturn. 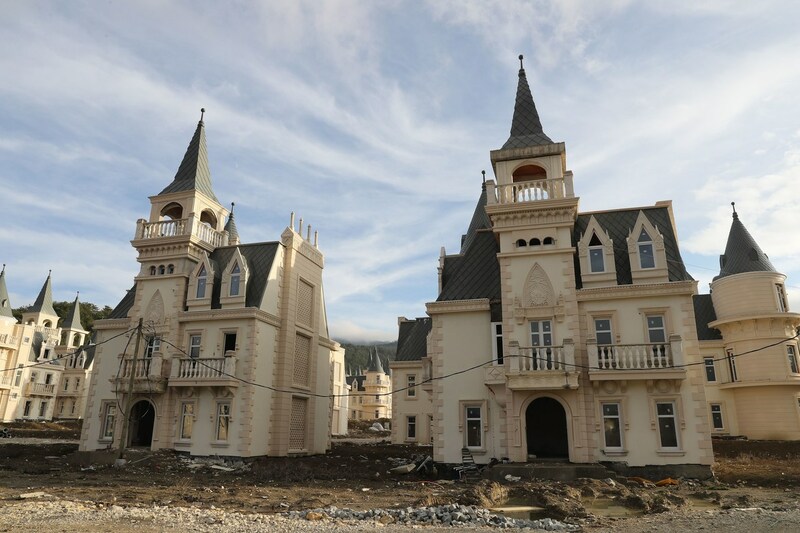 Although around half the villas - some 350 properties - were initially sold, largely to Middle Eastern customers, the company has filed for bankruptcy protection. Some of the buyers have backed out of their purchases, thanks - the news agency Agence France Presse has reported - to the slump in oil prices. 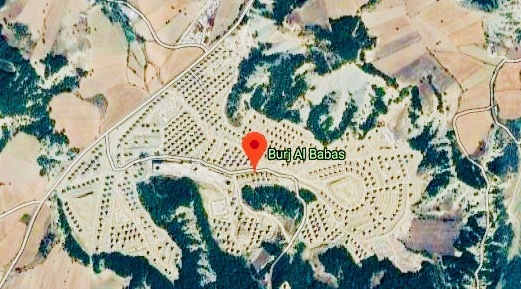 At present, Burj Al Babas is unoccupied, unfinished and unopened. 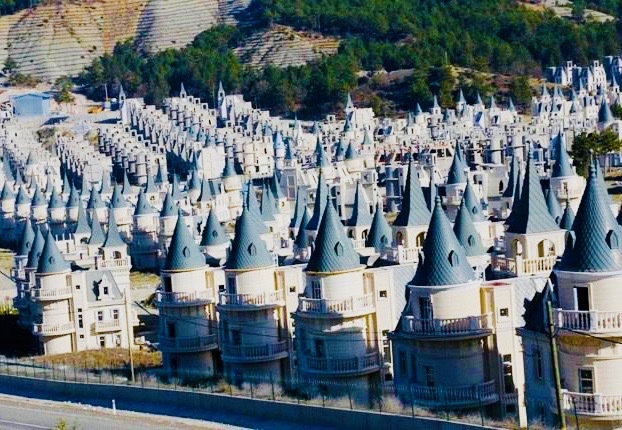 Mudurnu itself is not an unappealing place to live. While small of size, it has long been a fixture on the map - the ruins of a Byzantine fortress still crown a bluff above the town. It may be that this remnant of a former glorious era outlives the "castles" gathering cobwebs in the valley below - although anybody tempted by turrets will find plenty of availability on the building site. The homes were reportedly on the market from US$400,000, but interested parties may be able to negotiate a bargain. 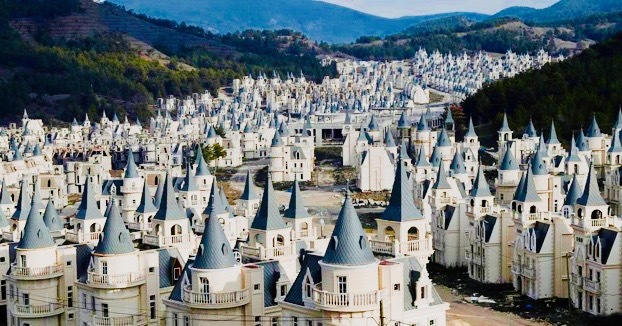 Turkish Ghoast Farytale Castles - COFL from Community of Lights on Vimeo.